So what kind of motorcycle does it take to make an around-the-world trek? 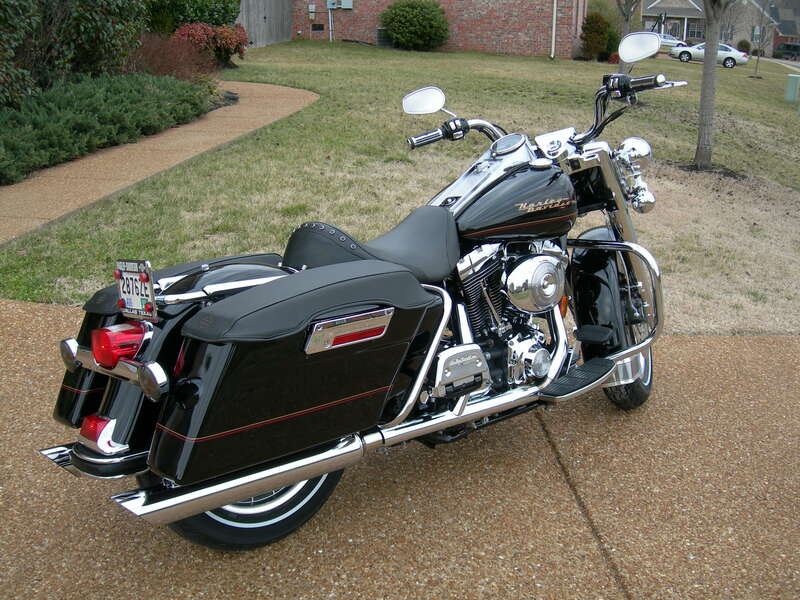 Having ridden motorcycles for over 35 years starting with a Harley Davidson 350 Sprint in Fairbanks, AK long ago and riding and owning many types and models since, I ended up with a 2001 Harley Davidson Road King as my road bike of choice for the roads in and around Nashville. As Rally Around the World approached I knew deep down the trip would require a more versatile and functional cycle to make the 15,000 mile trek. 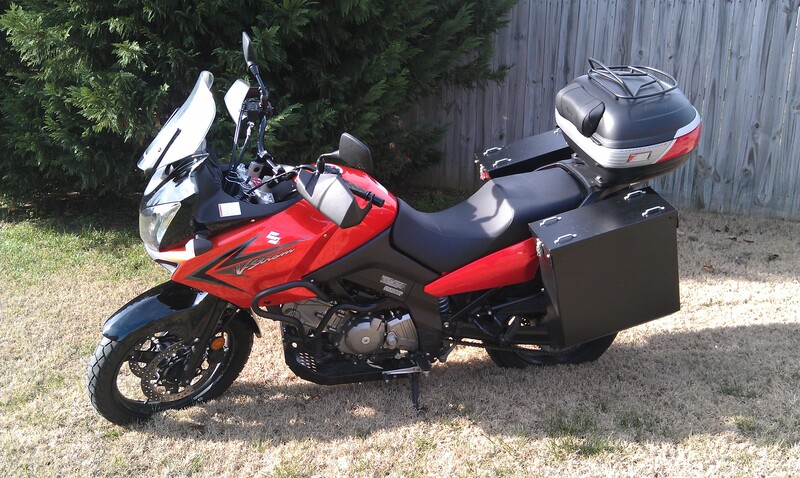 After much contemplation, research and finally just a plain gut-check, I selected the Suzuki V-Strom DL650. In 2002, Suzuki introduced the V-Strom 1000 in a new motorcycle category, the Sport Enduro Tourer. Its running performance and packaging earned worldwide acclaim. In 2003, Suzuki released the V-Strom 650 targeting a wider range of users. This versatile model covers not only daily use such as commuting, but also touring as well…I just knew I was on the right track. Since getting the bike, I have been adding a number of accessories or “farkles” coming from “function” and “sparkle”. Started with Rox pivoting risers for handlebar comfort and endurance on the road, Denali panniers from Happy-Trails, GIVI top case and engine guards, Adventure Moto Stuff skid plate and Mad Stad adjustable, windshield mounts to reduce buffeting. Still have a number of other accessories to add including a GPS and communication system…the jury is still out on the stock seat! !…lastly, all that will be needed is a rider!! This entry was posted in Motorcycle & Equipment and tagged Denali Panniers, GIVI, Happy-Trails, Harley Davidson, Mad Stad, Road King, Rox Pivoting Risers, Suzuki V-Strom DL650 by rallyaroundtheworld. Bookmark the permalink. I ride a Harley FXD but would definitely not choose it to travel around the world. Nothing against Harley’s but I like your choice!